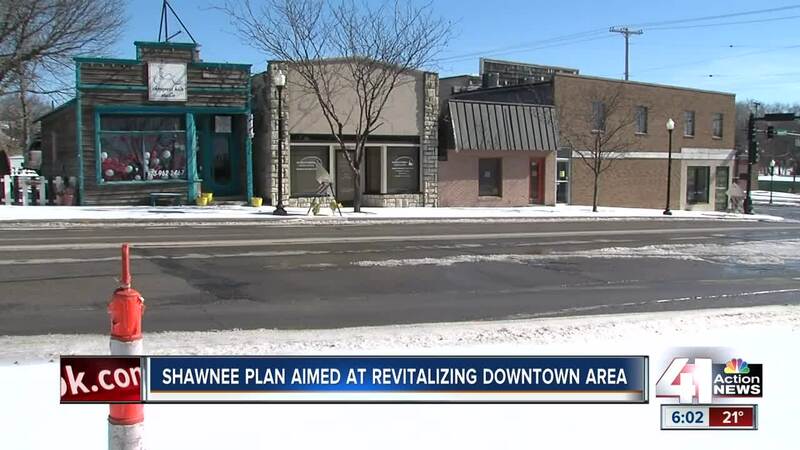 SHAWNEE, Kan. — Downtown Shawnee is already starting to see a revitalization take place but an added incentive could help spur on this transformation. It's called the Shawnee Entrepreneurial and Economic Development program or SEED. It started in 2012 when the city renegotiated it's contract with the Johnson County Landfill through 2043. The contract states the landfill will pay an impact fee to help cover the costs of city services to the area with increased truck traffic and other uses. According to the city, the SEED program encourages job creation by providing forgivable loans or annual payments to companies that create at least ten jobs with average salaries above the Johnson County average. Make a substantial contribution to a Shawnee-based charitable organization. It's these kind of incentives the city of Shawnee wants to attract to help revitalize downtown. The proposed change in SEED would allow restaurants and retail to get this special kind of money the city received from Waste Management. "So this new program will allow us to assist them with their lease some of those up-front costs that small businesses it’s very expensive to get going so if there’s a way to ease some of that pain through assisting with actual cash grant to help pay for that lease," said Ann Smith-Tate, President, CEO of the Shawnee Chamber of Commerce. Businesses who have benefited from SEED so far are the Aztec Theater, VA Hospital, Pinnacle Gymnastics among other companies. While Transport Brewery didn't receive these particular incentives, they did get the city's help with some financing going towards its facade, they held its grand opening on Friday. "Every little bit helps," said Tim Squires, lead brewer at Transport. They wanted to locate to downtown Shawnee because of the ambiance. "We think that this is just a very unique building with a lot of history to it, a lot of character to it. We think that Shawnee is a great spot," said Squires. Many Shawnee residents 41 Action News spoke with like this incentive proposal. "I don’t think at the end of the day it doesn’t cost any one person that much and it’s nice to have places near home so you don’t have to travel so far," said Shawnee resident Rob Pennington. The maximum amount a company can get is $250,000. The chamber will present this proposal to the full council on Feb. 25.